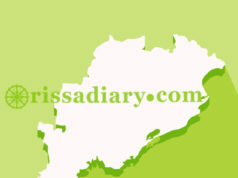 Bhubaneswar: A three-day Mayurbhanj Utsav would be organised by the Mayurbhanj Cultural Association, Bhubaneswar at the Rastra Bhasa Prachar Sabha ground here from Friday. 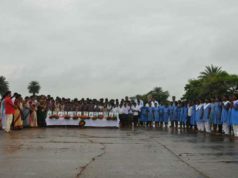 The cultural programme aims at promoting and propagating the culture and heritage of Mayurbhanj district and to show how this culture has glorified Odisha. 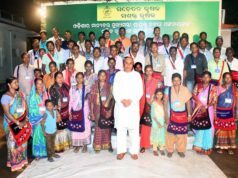 The function intends to develop the Mayurbhanj tourism and make the district a public-private investment destination for development of the district. The programme would provide a platform to artists from various places of the district to showcase their talents. The famous Jhummar dance, songs and tribal dances would be presented by different tribal troupes during the event. Besides, a craft mela would be held and food stalls for the famous Mudhi-Mansa and other cuisines of the district would be set up. The cultural events, the craft mela and food stalls would be the main attractions for the visitors, said association general secretary Gokul Chandra Das at a Press meet here on Wednesday.